They pay millions for the transfer of football players. But nobody is interesting in hooligans. I would rather sell those. Für den Transfer von Fußballern werden Millionen bezahlt. Die Hooligans jedoch will keiner kaufen. Die würden wir aber lieber hergeben. 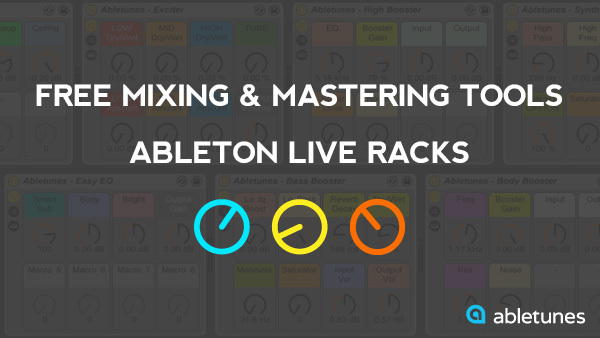 Abletunes has released 8 free Ableton Live racks for mixing and mastering. All the racks were built using only Ableton Live's built in plugins and combined into Effect racks with useful macro controls for key parameters.